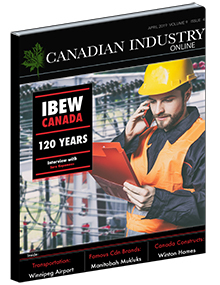 ince the publication was launched, Canadian Industry has showcased some of Canada’s boldest and brightest companies, operating in every sector and in every size category. But as we move along, there is a very clear common thread that connects the businesses we speak to: a culture of entrepreneurship. Canada is not a place where communities are very geographically close necessarily, so organizations have to work that much harder to make business work across regional boundaries. Having tenacity, and being able to “stick it out” when things are tough are unifying characteristics of Canadian businesses, so we’re shown time and time again. We invite you to read about the big businesses we profile, but also the smaller ones too that might not get a lot of play in the media—next month and in June there will be several. And of course, if you have your own business story to tell, get in touch!